Our history at Delaware Valley Septic, Sewer & Storm began way back in 1986, and we were founded on the values of a family run business serving the community in which we live. These values that we hold dear haven’t changed much in the nearly 30 years we’ve been in operation, and our professionals still work hard to serve all local homeowners to the highest possible standard. Purchased by Dave and TJ in 2014, Delaware Valley Septic, Sewer & Storm still prioritizes serving your community the same way we did during the years closely following our founding, and we do this through making sure our professionalism shines in each aspect of the work we provide. Even though you may not see your septic system, it’s still a big part of your home, and throughout the years we’ve made sure to treat your system, and your property, with the respect it deserves. 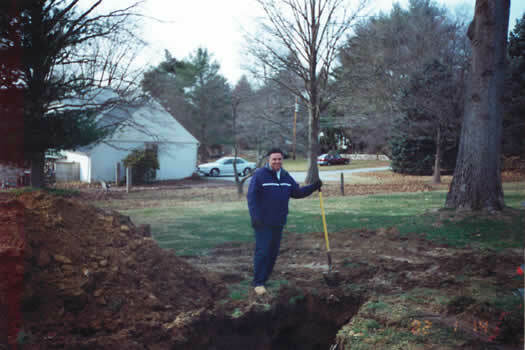 Since our founding, we’ve been serving the communities of the Main Line, Chester County, Delaware County, and Montgomery County areas, allowing us to see the septic systems used in a vast array of different types of properties. One goal that we’ve always maintained is to keep our services affordable no matter the size of your property and your home, so we keep the same competitive rates for all of our customers no matter the value of the property we may be working with.